In the Golden Age of cheesy sci-fi movies, scaly mutants in low budget rubber costumes, claymation monsters and rear projection creepy-crawlies ruled. One of our favorites is the 1954 Toho Film Company classic, Godzilla, starring a prehistoric dinosaur with a seriously bad attitude due to being awakened by H-bomb testing. Sure, anyone would be irked but, hey, trampling Tokyo to matchwood was taking the tantrum a little too far. Millennials made Godzilla’s CGI acquaintance in theaters in 2014, but most Boomers met the rambunctious, radioactive reptile on late night TV. 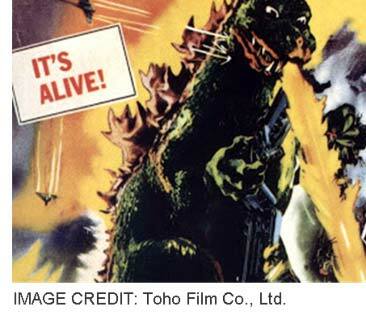 In Boomer-speak, a Godzilla-anything came to mean the biggest and – when riled – the baddest. So, when we say mainstream brands ignore Godzilla-size opportunities among Americans aged 50+, well, you get the idea. Just how Godzilla-sized are we? In 2016 the U.S. Census Bureau estimates there are 111 million Americans over fifty and according to Federal Reserve data, we own over 80% of U.S. household net worth. Most of this colossal spending power belongs to the Boomer-Plus Generation born 1940-1966. With the arrival of 8 million Gen Xers who hit fifty in 2015 and 2016, it has 94 million members – as a country it would be the world’s 15th most populous and the third largest economy on the planet. That means a bigger, more affluent market than any European nation or than Canada and Australia combined. Hey, watch out for that great big scaly foot! Despite the evidence, it’s still 1954 for mainstream Madison Avenue. Dozing like Tokyo on that languid summer afternoon, it believes the 50-plus space can safely be ignored. The lazy excuse is that older consumers are unwilling to switch brands or adopt new products. So, why bother? After decades of embracing change, Boomers are actually America’s most adaptable generation. Like Godzilla, we’re not only big and powerful but we’re becoming a tad grumpy. Being dissed by ungrateful brands that depend on us for market share kinda gets us fired up. However, the times, they are a-changing: a Godzilla-sized Big Idea – the notion of advertising to Boomers – is rising from the depths. For twenty years, we Boomer experts have urged a reset on mainstream brand relationships with consumers over fifty. 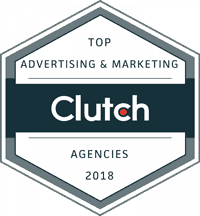 Finally, slowly, adland is waking up – already, in 2015, Rance Crain, editor–in-chief of Advertising Age, opined Golden Years Represent Golden Opportunities For Marketers. Heady stuff. 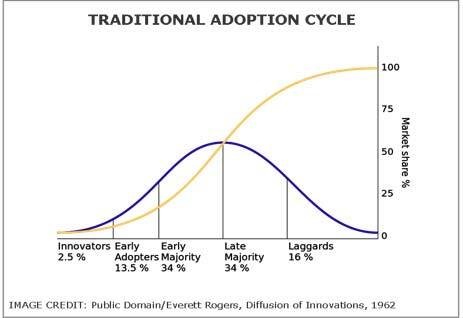 In theory, the traditional adoption cycle should play out soon, with Early Adopter ad agencies arriving first and Majority players jumping belatedly on the bandwagon. 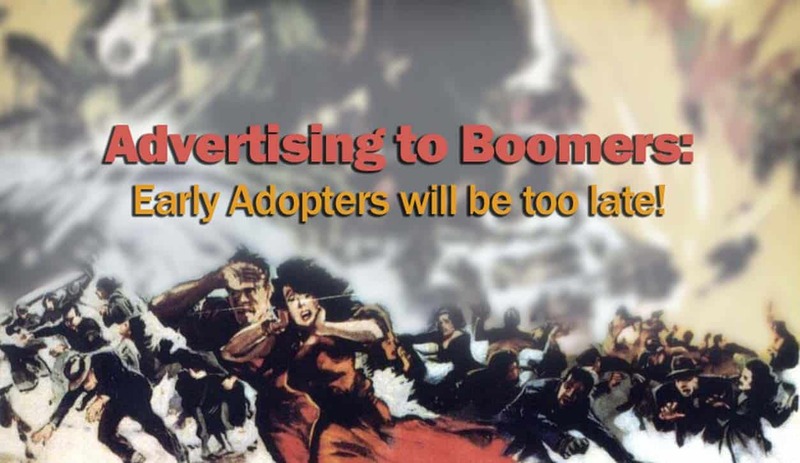 But the Big Idea of advertising to the gigantic Boomer market won’t play by the traditional adoption cycle rules. Rules? C’mon, we’re talking Godzilla here. Despite its vaunted self-image as edgy, daring and innovative, Madison Avenue is actually a cautious place. Safe creativity is the watchword. And, except for pills, potions and portfolios, ad targeting outside the 18-49 demo is a scary proposition. This time, Early Adopters will be too late. 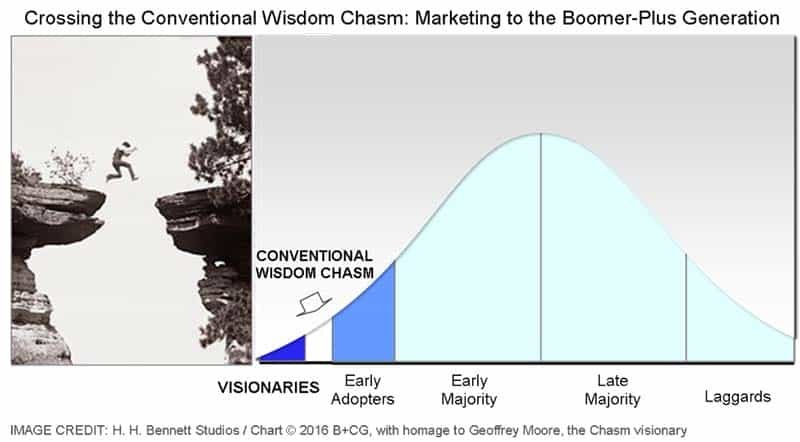 Geoffrey Moore’s iconic chasm theory – Crossing the Chasm: Marketing and Selling High-Tech Products to Mainstream Customers (1991) – provides a better model for adoption of the Big Idea of advertising to Boomers. Moore revealed a break – a chasm – in the traditional adoption curve that separates Visionaries from their more cautious followers. Without experienced guides, new concepts lose their way in the chasm – sadly, many great new ideas simply die there. 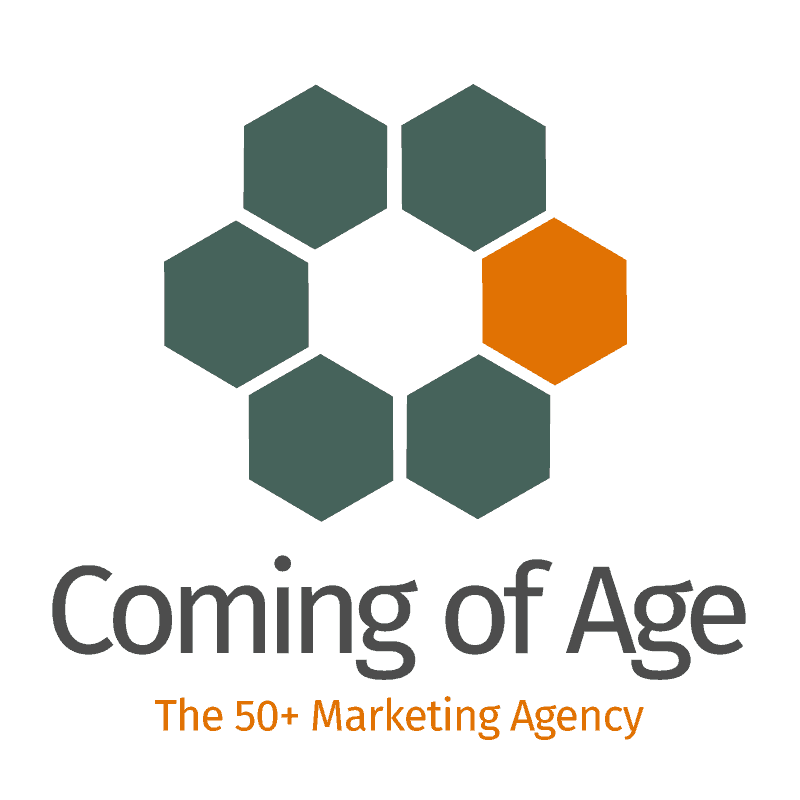 In fact, the Big Idea of advertising mainstream brands to Americans over fifty is so radical that only the most disruptive of Visionaries will dare seek out Boomer experts to navigate the chasm of conventional wisdom. And the so-called Early Adopters will hang back along with the Majority, fearful of client disapproval or losing face in Madison Avenue’s hyper-competitive ecosystem. As we all know, once proven, new ideas in ad-world are imitated at the speed of thought. So when the idea of targeting Boomers goes viral, so-called Early Adopters will be too late – no further ahead than the me-too Majority crowd nipping at their heels. Meanwhile, those intrepid brands already beyond the chasm will be reaping profits in the 50+ marketplace – the neglected home of the vast majority of U.S. household net worth and spending power.